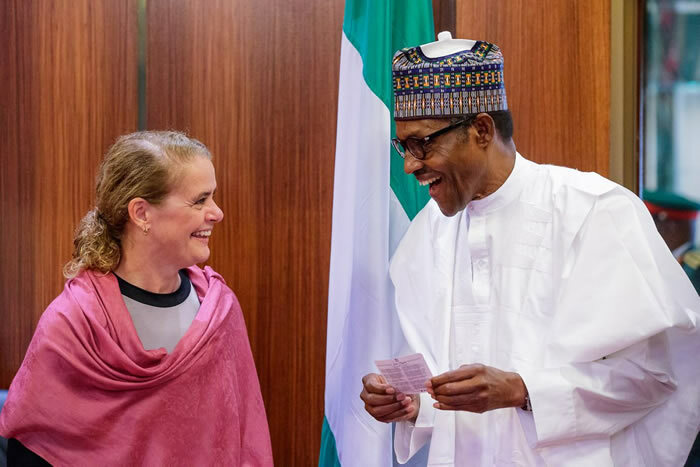 President Buhari today received the Governor General Of Canada, Julie Payette, ms Payette was received at the courtyard of the Presidential Villa in Abuja, alongside officials in her entourage. She is scheduled to address journalists after the meeting with President Buhari. Thereafter, she will deliver a lecture at the National Space Research and Development Centre Agency.